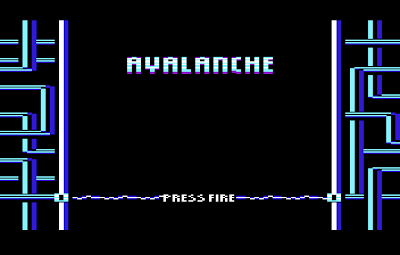 Developed for such under-powered machines from the dawn of home computing, you're probably thinking that Avalanche has to be a simple little game – and to a certain extent you’d be right. The version sent to me was for the VIC20, which is the most capable of the three machines this rebranded version is available for, but nonetheless in unexpanded form it still pales in comparison to its younger sibling and successor, the C64. The promotional trailer boasts 'multicolour graphics' and 'flicker-free gameplay' as highlights, which should give you an idea as to the level of technology we are dealing with here - but don't let that put you off, because the tight hardware limitations have ultimately resulted in a well-designed and fast-paced little game perfectly suited to the machine. So, on to the game. 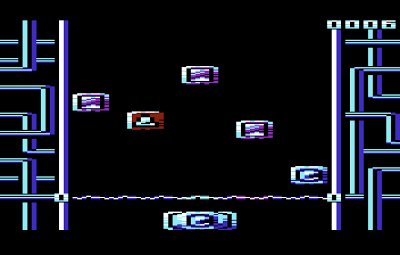 Controlling a little ship at the bottom of the screen, your goal is to match the symbol on your ship with the advancing row of five different-coloured icons that descend towards you, firing at them to throw them back to the top of the screen. Shoot the wrong symbol at the wrong icon and they'll drop a line closer, and if they reach the energy field at the bottom of the play arena then its game over and back to the title screen. So far, so primitive. However, during play the speed of the falling icons slowly and steadily increases and the only way to reverse this process is to shoot four similar icons in a row – a harder feat than you'd imagine, especially when the Avalanche picks up momentum! This simple little mechanic actually makes the game a lot more enjoyable to play (especially in a high-score environment), as with only five icons on screen it requires some quick thinking and strategic planning to pull off repeatedly, and makes learning the sequence of icons essential. To date, the only homebrew VIC20 game I've regularly returned to has been Aleksi Eeben's cave flier Dragonwing, reviewed back in the first issue of the then disc-based RGCD magazine in 2007. 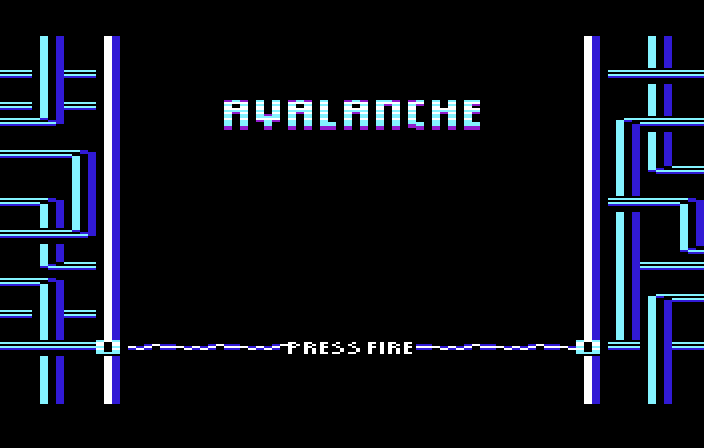 However, I can also imagine myself coming back to Avalanche in the future, if only to admire its clean design. I have to admit though that I was a little disappointed by the lack of music, in-game or on the title screen, especially after the hearing the intense soundtrack that plays through the trailer video. 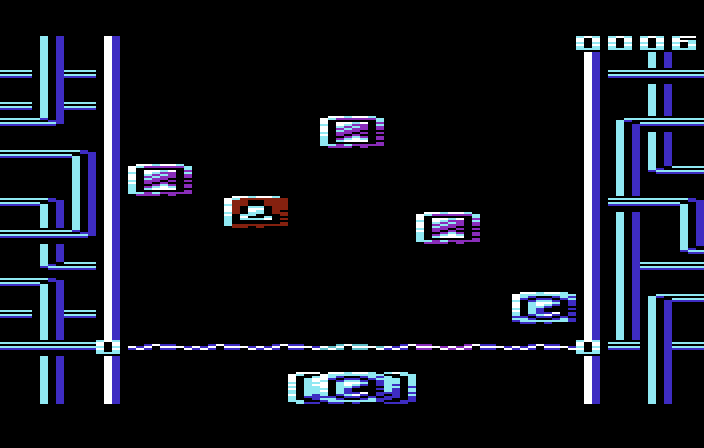 In contrast, the game's minimal bleep-bloop sound effects seem very underwhelming. As I've not personally played the PET and ZX81 versions of the game I cannot really give any feedback or impressions other than those gained from watching gameplay videos. Other than using character graphics instead of bitmap, the conversions seem very similar, but I hate to imagine how difficult the game would be on that awful ZX81 keyboard! 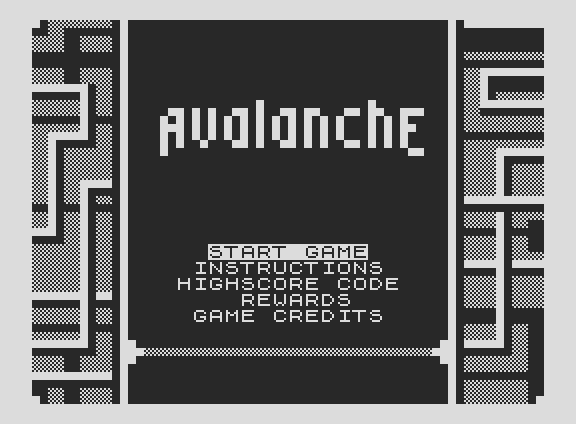 On the other hand, the ZX81 version is the only out of the three to feature full in-game instructions and the option to export a code for use with an online scoreboard, which is a feature that should be commended. 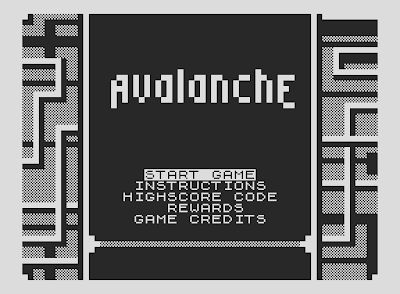 Avalanche comes in two formats, cassette and digital download priced at either 7.99 Euros or 3.99 Euros for each machine - and as you'd expect, the digital copy comes free with the tape order so there’s no need to buy it twice. Buy the game here (from the Revival Studios website). I'm sure that lack of music is due to the game having to fit the memory of an unexpanded VIC-20 @ 3.5K bytes free. If the game were to use a VIC-20 with more RAM, then there probably would be room to include music.